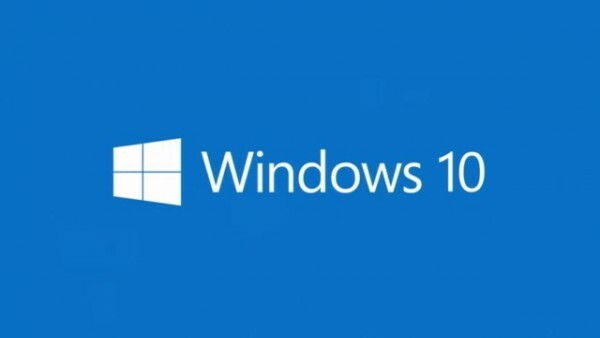 Whether you like it or not, if you own a PC that runs on Windows 7 or Windows 8, it will download the new Windows 10 OS. Today we’re going to teach you how to stop this by doing some simple things. However, keep in mind that the Windows 10 will not be installed on your computer without your knowledge. The files will be downloaded to your computer, but Windows 10 will not start installing on it. However, there are many people who prefer to use the 3GB of space for something more useful such as pictures or videos. There are also users who don’t have unlimited bandwidth and this means that they could end up paying more money for the extra MB/GB. Microsoft said that they want to help customers to prepare their devices for Windows 10 by downloading all the necessary files for a future installation. With other words, this only affects the people who have the automatic updates enabled on Windows 7/Windows 8. As expected, there are many people who have this feature enabled, to make sure that their computer is patched with all the critical security fixes. An easy way to stop the Windows Automatic Update from downloading the Windows 10 files is to install a free application called GWX Control Panel. This application has been developed by a person who doesn’t like the idea of getting the Windows 10 installation files without the user’s approval. After downloading the GWX Control Panel to your computer, you will need to run it and click on the “Disable Get Windows 10 App (permanently remove icon)” button. After that, you will need to click on the “Disable Operating System Upgrades in Windows Update” to make sure that this feature will never get activated again. Finally, you will need to reboot your computer and you will notice that the icon will be gone and your computer will no longer download the Windows 10 installation files. HINT: If you change your mind and you want to allow the Windows 10 files to be downloaded to your computer again, you can use the same application to re-enable this feature. You can stop Windows Update to download the Windows 10 installation files on your computer by doing some manual modifications to the registry. At the same time, we’re not sure if this will work for everyone, but you can test it for yourself, if you don’t want to use the GWX Control Panel application. First of all, you will need to install a patch from Microsoft’s website. Just head to Microsoft’s support webpage and search for Windows Update Client 2012 R2: July 2015. HINT: Make sure that you download the version for the Windows OS that your computer runs on. If you don’t see the WindowsUpdate key in there, you will need to manually create it by right clicking the Windows node from the left side and selecting “New Key”. After that, you will need to create a new 32bit DWORD that’s called DisableOSUpgrade. This can be done by right clicking the WindowsUpdate from the left side and selecting DWORD 32-bit value, name it DisableOSUpgrade and set the value to 1. After doing this, you will need to reboot your computer and that’s it! You can also set Windows Update to notify you about new stuff that’s available for download but don’t download anything without your knowledge. However, keep in mind that for security reasons this is a very bad idea so, unless you don’t have an unlimited bandwidth, we suggest you to NOT do this. So, head to Windows update and click on the “Change Settings” button. Here you will be able to select the “Check for updates but let me choose whether to download and install them”. If you enable this feature, make sure that you manually install updates from time to time, or else you might miss some important changes. Using one of the three options we’ve just told you, you will be able to stop the Windows Update from downloading the Windows 10 installation files without your knowledge. If you’ve tried any of these options and it didn’t work for you, please let us know! Did you know that Windows Update is automatically downloading the Windows 10 installation files on a computer that runs on Windows 7 or Windows 8?